Colonel Conk has produced a wide array of shaving products. The good news is that most of them are addressing to the consumers on a budget. This particular cream is priced at under $10 on Amazon. 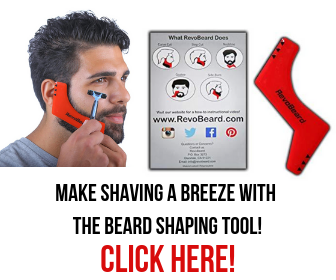 Therefore, it is an affordable product to almost everyone interested in a shaving soap. The soap is based on glycerin and does not fit into the category of triple milled shaving products. Tripple milled shaving soaps are produced through a procedure that makes them last for much longer. Glycerine-based soaps are manufactured through a cheaper process. Most seasoned wet shavers will find that the glycerine-based products run out faster since they are not usually very dense. That being said, there are many benefits of this product. This Colonel Conk shaving soap review will cover the advantages and disadvantages of the product. In the end, we’ll also deliver a verdict on this shaving soap. Why Should You Purchase Colonel Conk Shaving Soap? Most Colonel Conk shaving soap review findings appreciate the soap primarily for its scent. The product comes with a mild baby rum scent that is not nearly as strong as many similar products. Many soaps manufactured with this scent end up giving a strong and unpleasant clove smell. Because of the mildness of the smell, you will not experience a burning sensation when you use the soap. Other scents that complement the main fragrance in this product are amber, lime, and almond. These are also generally considered great scents although users prefer the baby rum smell. It leathers quite easily- If you have trouble working up a lather, you should start by warming the soap in a microwave to soften it a little. Then, you can use water as usual and apply it on your beard. It is also advisable to warm the brush for some time before using it. It contains avocado oil. This ingredient has been noted to be one of the best nutrients for your beard. This is because it contains vitamin A, B, and C, amino acids, proteins, and a number of important minerals. In fact, many people use avocado on its own as hair care product. The ingredient helps to nourish the skin and reduce inflammation on your chin and face. It will also help to reduce itchiness and dryness. It contains Vitamin E as a key ingredient. This component is primarily meant to reduce inflammation of the face and prevents sun damage. Most importantly, vitamin E helps to turn a damaged and unmanageable beard to shiny hair. The ingredient increases the flow of blood in the face and, therefore, improves the transmission of nutrients to the hair roots. Also, if you have dry and irritated skin, you will benefit tremendously from using this product. It creates a barrier in the skin that helps to reduce the loss of moisture from the skin, and this leads to the development of shiny hair. This Colonel Conk shaving soap review will also cover the cons of this product conclusively. One of the biggest problems with this product is the fact that it does not last for long, especially when used by experienced wet shavers. Typically, a 2.25-ounce bottle of the soap will be depleted within three months. This is because the product is glycerin-based and is not taken through the triple milling process. During production, all the ingredients are melted and mixed to create a mold. This process is not as expensive as the triple milling process. This is why the manufacturer is able to sell it at such low prices. Triple milled shaving soaps are produced by pouring the ingredients into a bar and running it through a milling process. This is meant to break the product into tiny fragments. The milling process is done for three times. Once this is done, the soap is pressed into a mold and packaged for sale. Another notable disadvantage of this soap is the fact that it does not produce a rich lather, particularly when compared to more expensive products. This is because of its low density. To use this product comfortably, you will have to warm it in a microwave along with the brush you will use to groom yourself. Another alternative is to add a little hot water to the bottle of the soap. It is also important to note that the manufacturer does not list all the ingredients used to make the product. This is not necessarily a disadvantage as per the Colonel Conk shaving soap review. Nonetheless, it is an aspect that may raise suspicion. 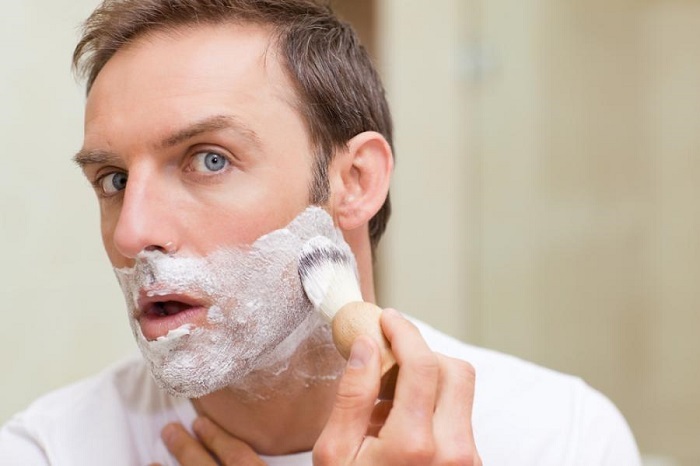 Being a glycerin-based shaving soap, this product may tend to dry up on your face, especially if you are taking more than two passes when shaving. You will need to re-lather the soap to counter this effect. If you notice dryness in your skin after using the shaving soap, you should consider using a moisturizer after grooming your beard. How Should You Store Colonel Conk Shaving Soap? 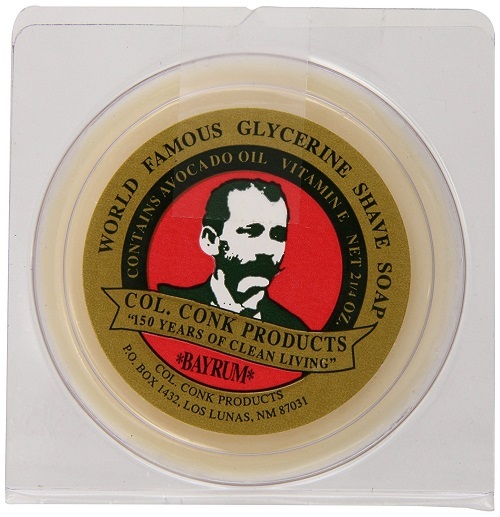 This shaving soap comes in a plastic container that is ideal for long-term storage. You can also choose to store the soap in a bowl, cup or coffee mug that is specifically designed for its storage. Ideally, the container should be unbreakable. You might have to put the soap in its container in the microwave. Therefore, you should consider using a container that does not melt or even crack when exposed to high temperatures. 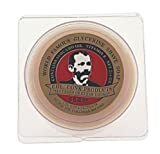 Many Colonel Conk shaving soap review contributors have noted that the shaving soap lasts longer and maintains its integrity if you store it outside the bathroom. You should store it in a cool and dry place. There are lots of shaving soaps on the market. As noted in this Colonel Conk shaving soap review, the product is meant for people working on a tight budget. It is priced at under $10 and comes with many advantages, including the fact that it is available to many who cannot afford costlier alternatives. Some of the other benefits are its refreshing scent, vitamin E, and avocado oil content. Although it has its disadvantages, it would be great for people who don’t have enough money to spend on a premium product. Next story Merkur Long Handle Safety Razor 180 Review – Is It for You?